This is one in a series of blog posts accompanying Paper Is Part of the Picture: Strathmore Paper and the Evolution of American Graphic Design 1892–2017, an exhibition that I curated at The Opalka Gallery of The Sage Colleges in Albany, New York. The exhibition ran from October 3 to December 15, 2017. Invitation to Strathmore Luncheon Honoring Will Bradley at the University Club, New York CIty (1954). Photograph by Ariel Smullen. The Rounce and Coffin Club award was prescient. The Huntington Library exhibition spurred Strathmore to coax Bradley out of retirement to contribute a portfolio of designs to the company’s famous designer series. Begun in 1951 it took three years to complete. 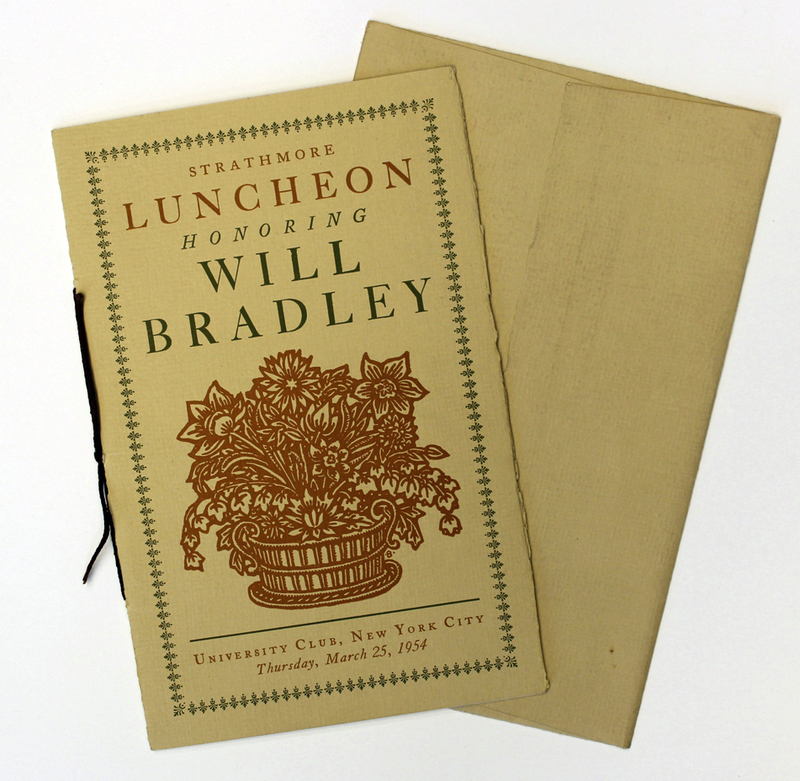 To celebrate its publication, Strathmore and The Typophiles jointly sponsored a special luncheon honoring Bradley at the University Club in New York City on March 25, 1954. Among the speakers paying tribute to him that day were T.M. Cleland, Walter Dorwin Teague, A.Hyatt Mayor of the Metropolitan Museum of Art, Frederic G. Melcher of Publishers’ Weekly, and F. Nelson Bridgham, Strathmore president. To cap off 1954 as a Bradley year, the AIGA awarded him its gold medal. Bradley’s portfolio for Strathmore, entitled Strathmore Expressive Printing Papers Are Part of the Picture, was the most elaborate of all of those in the famous designer series. 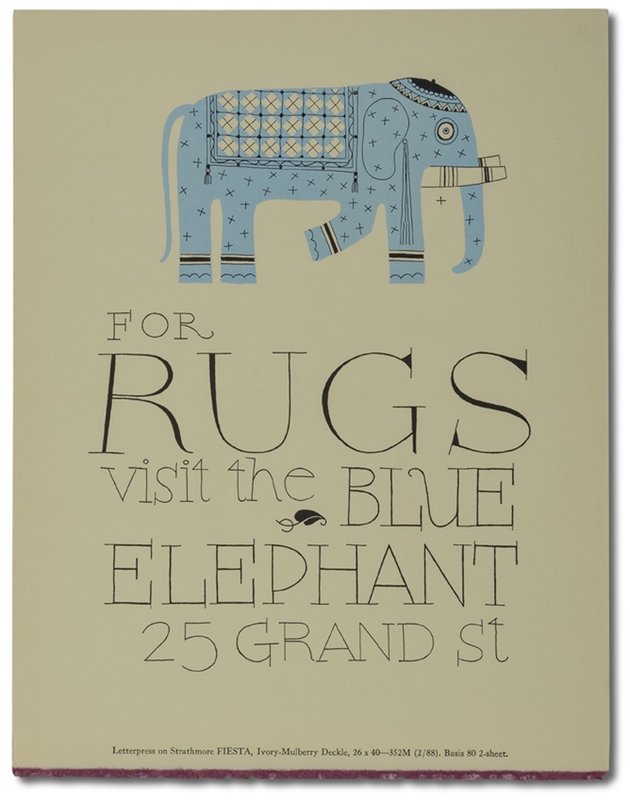 It was also the most odd, the most charming, and the most unexpected portfolio. The folder included fifteen inserts comprising twenty-nine individual designs plus designs for its front cover and the inside front and back covers—all by the 86-year old Bradley. None of them resembled any of the multifaceted work that had made him famous in the 1890s. Instead the designs for various businesses (most of them fictitious) were simple, child-like, and very colorful. Some were printed letterpress and some offset. All were entirely hand-drawn and hand-lettered. Depending on one’s point of view, they could be seen as either crude or endearing. Either way, they were like nothing else being done in the mid-1950s, whether by modernists like Lester Beall, Paul Rand, Bradbury Thompson and Alvin Lustig, or by more conservative designers such as W.A. Dwiggins, George Salter, or Joseph Low. Today, their handmade charm feels surprisingly contemporary. Inside front cover of Strathmore Expressive Printing Papers Art Part of the Picture portfolio (1954). Design by Will Bradley. 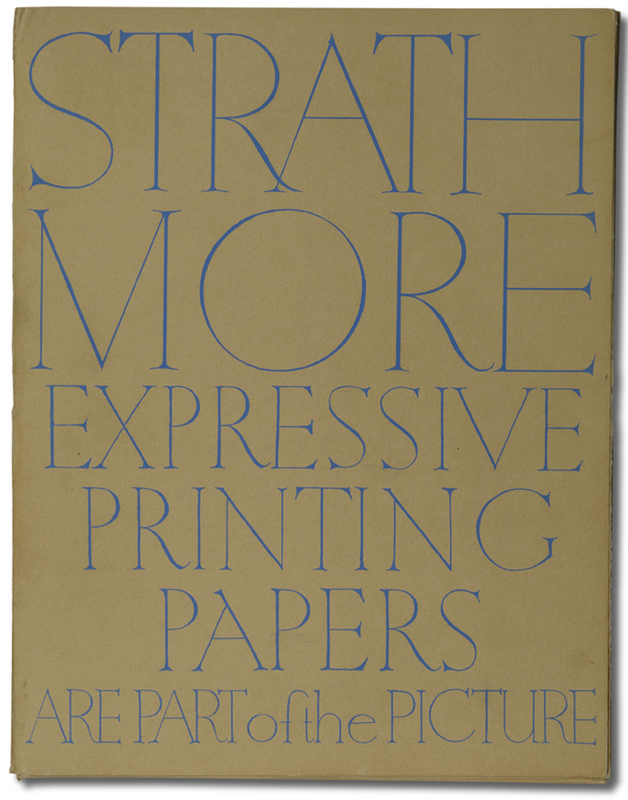 Interior of Strathmore Expressive Printing Papers Are Part of the Picture portfolio (1954). Design by Will Bradley. 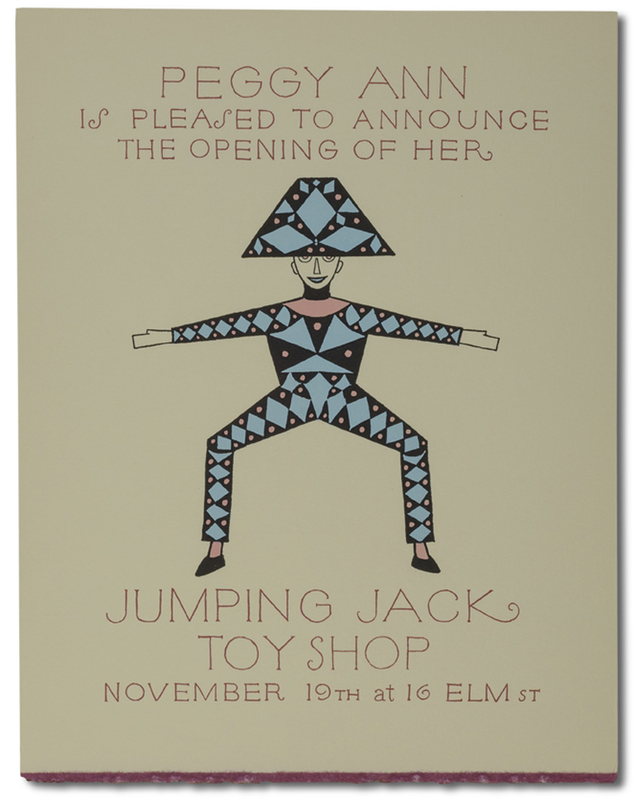 Jumping Jack Toy Shop insert from Strathmore Expressive Printing Papers Are Part of the Picture portfolio (1954). Design by Will Bradley. Photograph by Vincent Giordano. 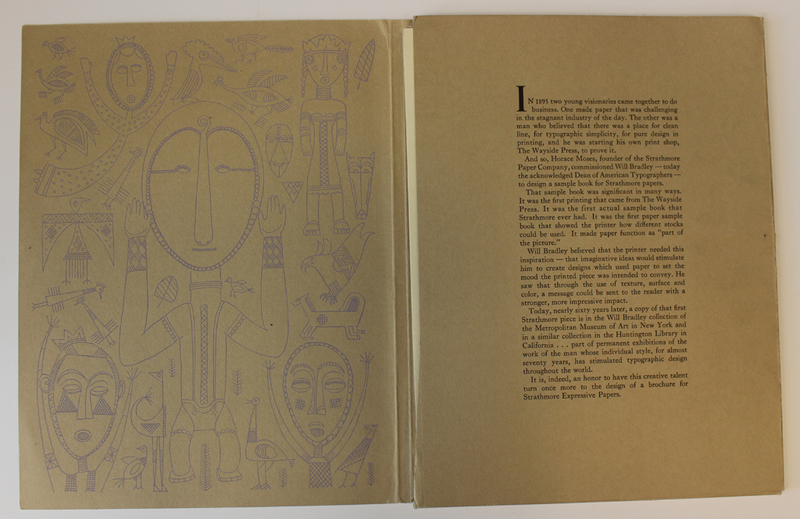 The Blue Elephant insert from Strathmore Expressive Printing Papers Are Part of the Picture portfolio (1954). Design by Will Bradley. Photograph by Vincent Giordano. 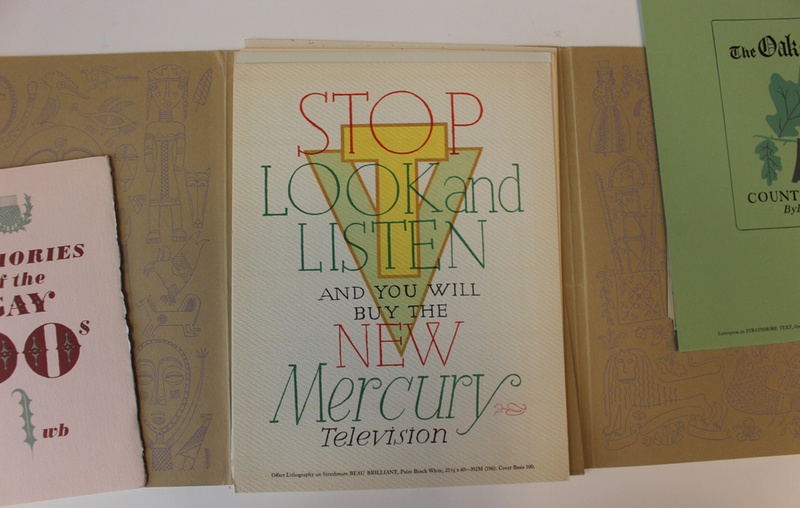 Mercury Television insert from Strathmore Expressive Printing Papers Are Part of the Picture portfolio (1954). Design by Will Bradley. 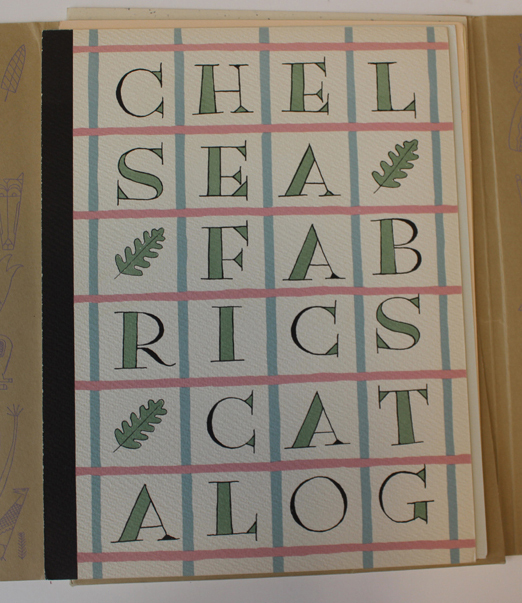 Chelsea Fabrics Catalog insert from Strathmore Expressive Printing Papers Are Part of the Picture portfolio (1954). Design by Will Bradley. 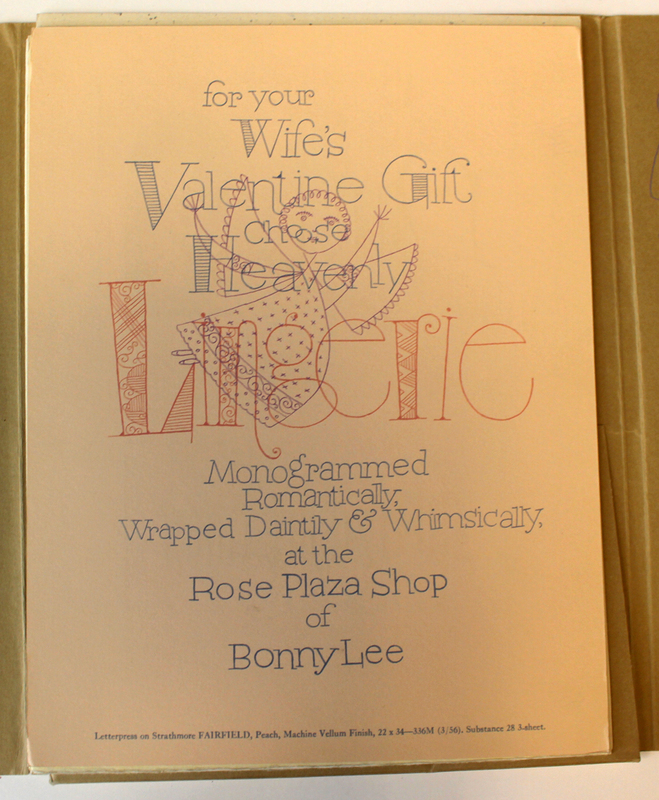 Rose Plaza Shop of Bonny Lee insert from Strathmore Expressive Printing Papers Are Part of the Picture portfolio (1954). Design by Will Bradley. 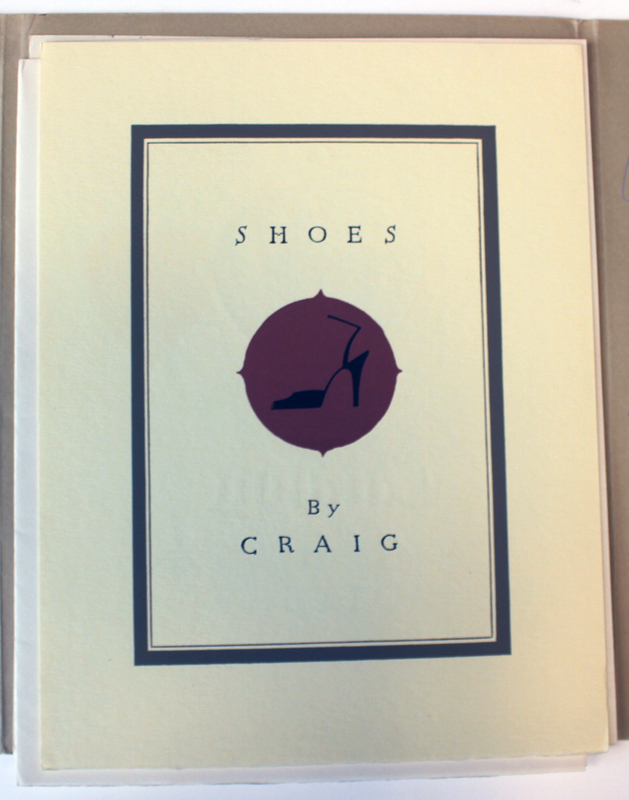 Shoes by Craig insert from Strathmore Expressive Printing Papers Are Part of the Picture portfolio (1954). Design by Will Bradley. While most of the inserts were two-sided sheets, two were small booklets. 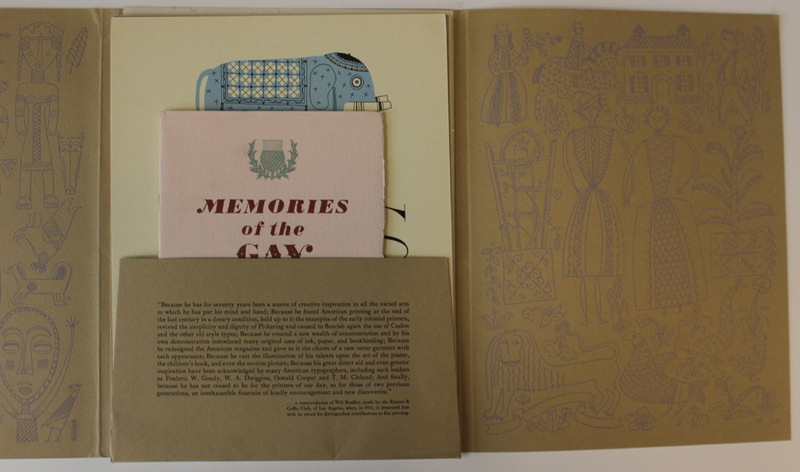 One, Memories of the Gay 90s, was taken from The Typophiles Bradley chapbook. That chapter was chosen because it included Bradley’s description of his initial meeting with Horace Moses and subsequent work designing sample books for the Mittineague Paper Company (see Paper Is Part of the Picture no. 2, part I). 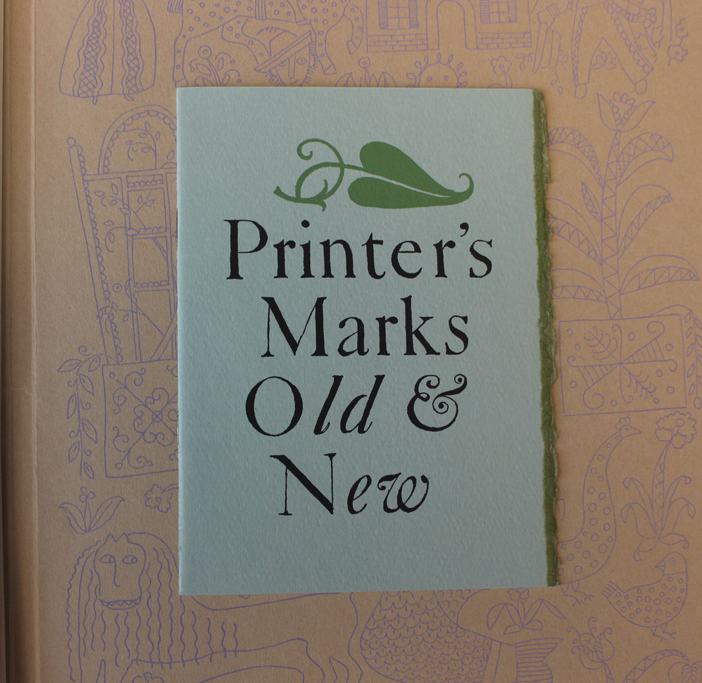 The other was Printer’s Marks Old & New. Both were designed in an allusive manner with Bradley’s lettering mimicking the typography of the Victorian era and his own Caslon-influenced designs of the late 1890s. Printer’s Marks Old & New insert from Strathmore Expressive Printing Papers Are Part of the Picture portfolio (1954). Design by Will Bradley. The inspiration to be derived from the text and advertising pages of our standard magazines, together with the creative art of school children and the art magazines, quite unknown at the turn of the century, supplies a liberal education teaching the beginner how to appreciate and use the printing and designing advantages of today. What are these advantages, and why do they open a door to exceptional opportunities not known in the Nineties? First, and perhaps of greatest importance, is the typographic consciousness now prevalent, especially in the advertising and business world, where it is universally recognized that effective typography and design increase sales. Another advantage is to be found in the significant mechanical advances of the last few years, the significance of the growing importance of offset printing, presenting so many opportunities yet to be grasped by the designer. And, an infant industry now, but one of vast possibilities, is commercial silk-screen printing. …this is an age of layouts, and in this new photographic process with the use of photographic enlargements, there are possibilities for display composition of any required size, and great variety, presenting intriguing possibilities for the creative designer and typographer. Bradley took advantage of these new influences and technical advances in creating his designs for the Strathmore Expressive Printing Papers Are Part of the Picture portfolio. Even in his 80s he was still reinventing himself. 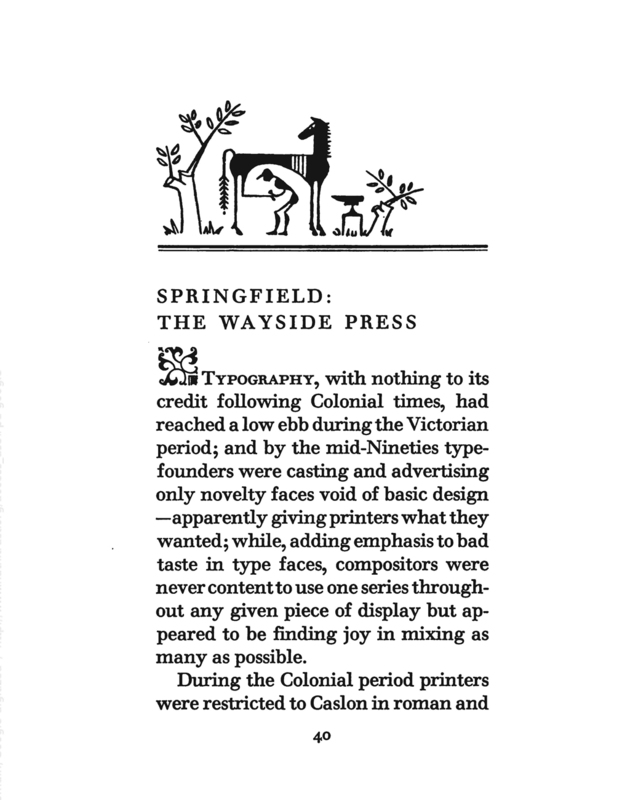 “Springfield: The Wayside Press” chapter opening from Will Bradley: His Chap Book (New York: The Typophiles, 1955). Headpiece by Will Bradley. Typography by Peter Beilenson.